Welcome back, Mr. Dario D'Attis! 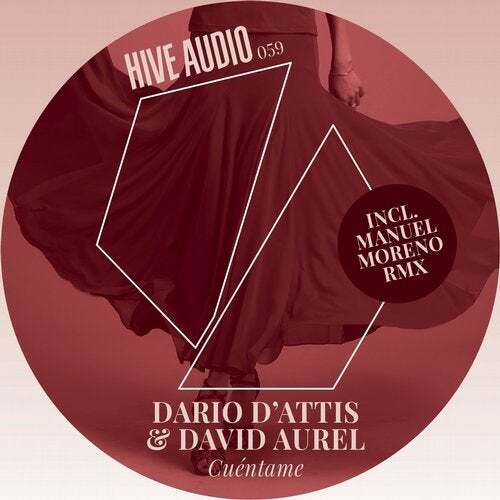 Fresh for 2016 we see one of the most successful Swiss electronic music producers teaming up with his new studio partner David Aurel for another steaming hot single effort on Hive Audio which is about to rule dancefloors throughout this years summer festival season and beyond. Amalgamating contemporary TechHouse with a deep, glitzy twist, balearic melodies, epic Spanish vocals and a larger than life breakdown the original version of Cuéntame will soon be a staple in terrace sets all over the place as nothing screams summer and good times like this tune. With Manuelo Moreno on remix duties the vibe of Cuéntame is taken to slightly darker and clubbier realms. Built on a foundation of stripped down, well-pumping underground House the main string motif and vocals unfold like the first shafts of sunlight breaking through the clouds after a hot summers thunderstorm whilst fascinating melodic elements emphasize the tune's unique characteristics perfectly. Quality stuff for steamy late night workouts!